Trump has been completely outmaneuvered by the Deep State actors, and has become a puppet of the Globalists. 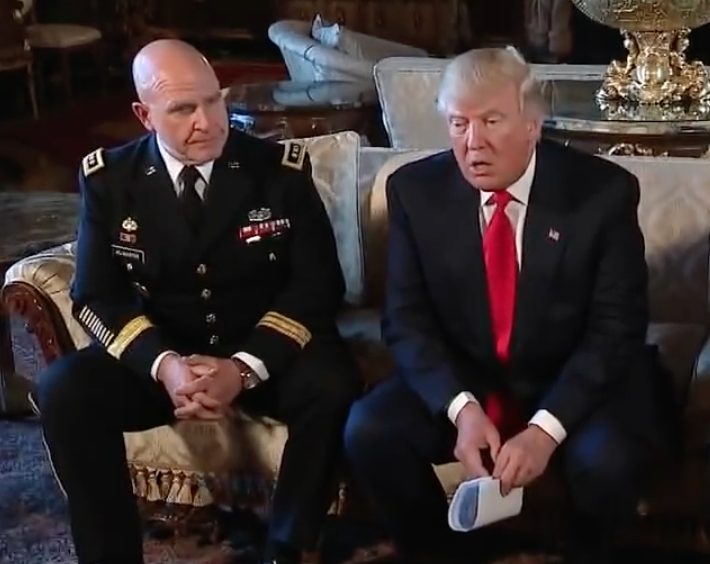 We now have a Empire ruled by a triumvirate of Generals. President Trump has had his foreign policy hands and feet tied by the Russia (and Iran) Sanctions Act. 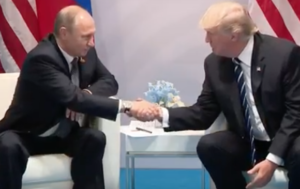 He now has been rendered “helpless”: in respect to détente with Russia — gulliverized, spitefully, by his own party, working with the Democrats, to empty Trump’s constitutional prerogatives in foreign policy – and to seize them for Congress. Ok – that is clear: they want to “grasp” America as world order. They have been trying that for some time now, but have not yet succeeded in seizing “her.” With all “her” allure and riches, their quarry remains frustratingly elusive, and her very unattainability seems to madden “ego” even more – so that which cannot be “had,” must be despoiled. What else accounts for the new Afghan plan? Almost nobody (outside of the U.S. élites) believes it will do other than prolong an unwinnable war (or worse, push Pakistan and India into confrontation). Yet the further despoliation of Afghanistan must go on, for the sake of the myth of this America – of Trump’s “highest officials” – that America is always victorious, if only it wills it sufficiently, and is persistent – “defeat” as heresy. It is a familiar story of inflated ego. But the sense of power and wanting to “grasp at something unattainable” is so compelling, that the U.S. élites desire both to crush the “infuriating” Trump, and his “deplorables” – to thrust them down into the irrecoverable depths – while weakening any external rival that might hinder the way to their “having” America, as world order. It seems that the American deep state is so frenzied in this way that its inhabitants can no longer see straight: they are ready to risk despoiling not just the “recalcitrant” abroad, but America herself. And the way they are going about trying to “have her,” may well ruin the deep state too, as collateral damage. The Russia Sanctions Act may have been conceived both to paralyze President Trump, and to validate the “Putin-stole-the-Election” narrative, but it precisely removes any chance of Messrs Mattis, McMaster, Kelly and Tillerson to succeed with seizing America as world proconsul. Russia, China and Iran, now linked by again being threatened by sanctions, are now firmly embedded into a strategic coalition – and they are determined to resist. “Among those sanctioned are six Chinese companies, including three coal companies; two Singapore-based companies that sell oil to North Korea and three Russians that work with them; a Russian company that deals in North Korean metals and its Russian director; a construction company based in Namibia; a second Namibia-based company, and its North Korean director, that supplies North Korean workers to build statues overseas to generate income for the North. The alliance of these three states and their “partner forces” no longer believe that America is capable of serious diplomacy, or that it enjoys any real capacity to “seize” the world. On the contrary, they see Europe drifting away from the U.S., the Gulf Cooperation Council in disarray, and even Israel is despairing of its Washington ally. They do remain concerned about North Korea, but the fear of U.S. pre-emptive military action against North Korea is tempered by the knowledge that North Korea effectively holds 30,000 U.S. servicemen hostage in the de-militarized zone. 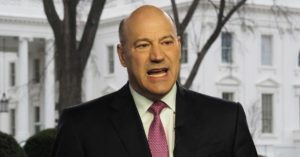 Yes, Trump has been “rolled” in the economic sphere, too: The “big six” consist of four members of Congress (including Senate Majority Leader Mitch McConnell and House Speaker Paul Ryan), plus economic adviser Gary Cohn and Treasury Secretary Steve Mnuchin – both of Goldman Sachs. “In the Bannon-era, factionalized Trump White House, Cohn was not just the head of the National Economic Council but the leader of the group of officials whom Bannon derided as ‘New York.’ (Breitbart stories called Cohn and his companions at the N.E.C. ‘Globalist Swampsters’)”, notes the New Yorker. Cohn, who is 56, was brought into the Administration by Jared Kushner, the President’s son-in-law, who once interned for Cohn at Goldman Sachs. Cohn is a long-time donor to Democratic candidates. So, Trump’s “reflation trade” is being “normalized” by the “big six” – more of the usual D.C. politics. 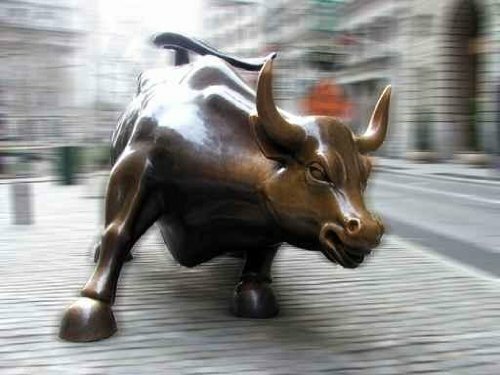 “After 101 months of dip buying … the headline reading algos [robot computer traders] have become programmed in a completely asymmetrical manner. They are triggered to ‘buy’ on economic/policy good news (because it implies more profits); but also to ‘buy’ on bad news (because it means more [liquidity] accommodation, and market-support/price keeping actions by the Fed and other central banks. Stockman is warning that markets already are trading at historic highs, and that no one is paying attention to these extreme valuations or the economic or political fundamentals – simply because the latter has become utterly irrelevant, if every small market dip, is immediately followed by the unbroken elevation of all asset classes (thanks to Central Bank interventions). In short, all sensibility to risk (political or credit or any other) has been expunged by the determination of the Central Banks to keep asset prices inflating higher. The financial system precisely is looking the other way — intent on making money “when the going is easy” – and consequently, any crisis now will create a disproportionate impact on those levered asset values, magnified by the trades today being all one-way. Here is the point: Will the political zombiefication of President Trump satisfy the two party Establishments? Are they mollified enough, to come together to agree on a budget and a new “clean” debt ceiling (the “ceiling” arrives on Sept. 29)? And, even if achieved, will so-called “normalization” of Trump policies really take the U.S. back to the nirvana of “how things used to be”? Certainly, the Democrats will present a public face of co-operation, but such is the angry temper of Washington today (with both sides looking for a fight), that almost certainly they will require their revenge pound of flesh cut from Trump’s side. The Freedom Caucus group of Republicans (which is linked to Bannon) might then jump ship, leaving the Big Six with either “no ceiling deal” or a “Democratic”-shaped budget. The Democrats seem determined to remove any provision for “the wall,” and Trump seems to be spoiling for a fight with the Democrats (and Ryan and McConnell) on this issue. He has had to acquiesce to being “rolled” in foreign and defense policy — might he turn, and dig in his heels? He is already channeling the blame onto the Republican Establishment leadership. If so, what price the continuation of a market historic “high” and brimming with complacency? Russia and China are right to be thinking “worst case” and how to minimize their exposure to any American cataclysmic descent into political turmoil – and possible violence.